There’s no summer like a Coromandel summer—truth. The special New Zealand peninsula is a playground of beautiful beaches, wonderful walks, epic eats and general happiness-inducing activities. What’s not to love? The Coromandel is in its absolute prime during the warmer months and is a favourite summer destination for Kiwis and visitors alike. To help you plan your getaway, we’ve rounded up all the best things to do in the Coromandel this summer. Consider it your summer bucket list. First things first, no summer in the Coromandel is complete without visiting the famous Cathedral Cove. 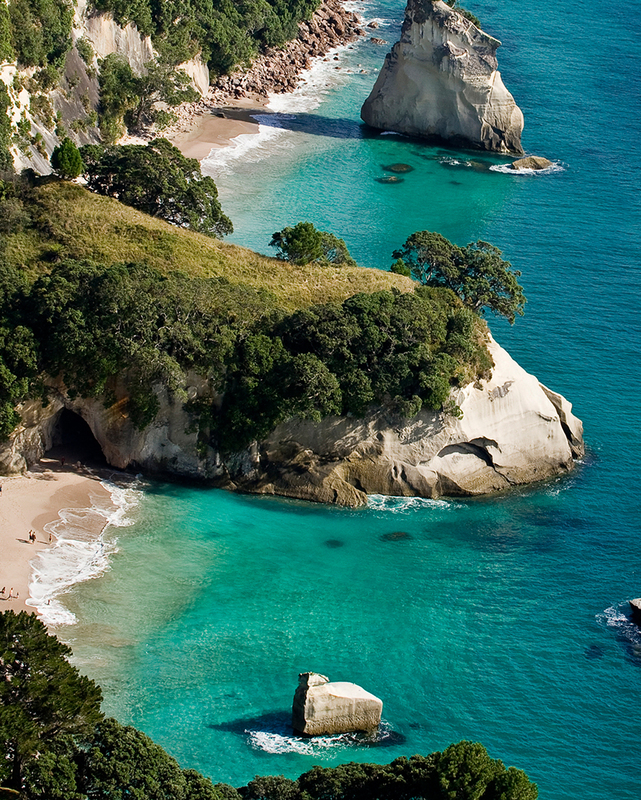 Located a stone’s throw from Hahei, the cove can only be accessed via foot or water. The 45-minute walk winds through rugged farmland and native bush with smaller tracks detouring down to rocky, picturesque shorelines. On arrival, you’ll be greeted with golden sand, gentle waves and Cathedral Cove’s iconic namesake: a staggering rock archway. Pack a picnic and sunbathe and swim the day away. Don’t forget your hiking boots when heading to The Coromandel this summer. 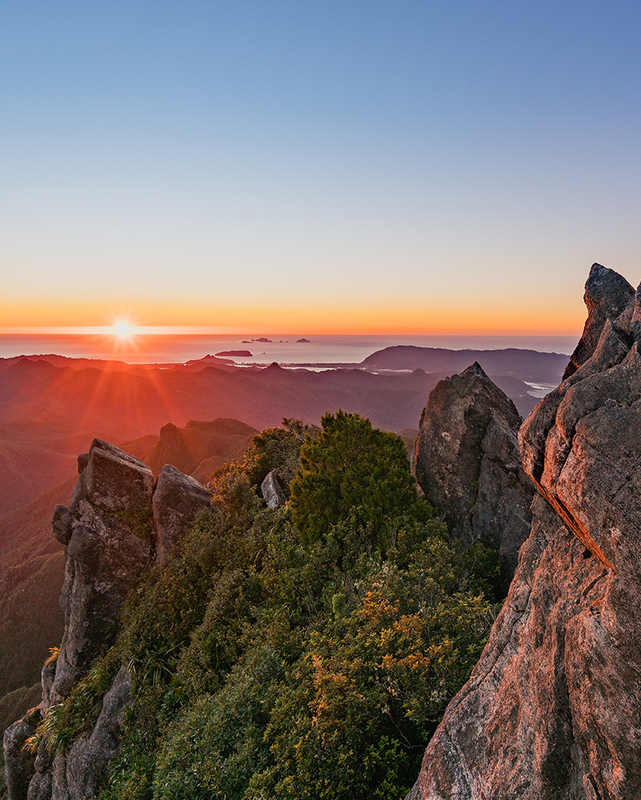 The Kauaeranga Kauri Trail—or simply ‘The Pinnacles’—can be completed as a day or overnight walk. Walk to the hut and back via the Webb Creek Track (six to seven hours) or complete a circuit using the Webb Creek Track and Billygoat Track (eight to nine hours). From the hut, it’s an additional 40-minute walk to the summit for jaw-dropping views of the peninsula and beyond. Pro tip: book a night at the hut and rise early for a magical sunrise from the top. Digging your very own hot pool at Hot Water Beach is rite of passage. 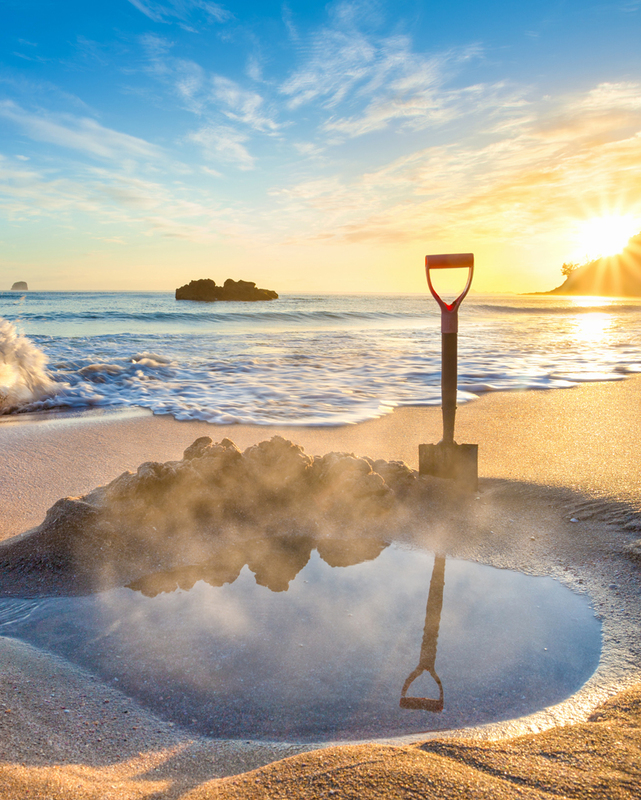 Bring a spade and visit within two hours either side of low tide to dig you a sandy spa pool. Hot water bubbles through the golden sand, attracting flocks of visitors to the otherwise deserted, moody beach. The unique ‘spa’ is created by an underground river of thermal water flowing from the inside of the earth and into the sea at Hot Water Beach. For a less-sandy spa experience, head to The Lost Spring in Whitianga. The tranquil oasis showcases geothermal pools with mineral-rich waters rising from the ground below. They even have an attentive poolside service so you can relax in the warm waters with a cocktail in hand—how very convenient. Afterwards, treat your loved one (or yourself) to a luxurious massage in the on-site day spa nestled away in the lush native treetops. The Coromandel has no shortage of delicious cafes, restaurants and—of course—takeaway joints. Head to your nearest local to devour classic Kiwi fish and chips with melt-in-your-mouth fish plucked from the surrounding waters. Coromandel Takeaways is always a winner and same goes for Surf’n’Sand Takeaways in Tairua—no order is complete without a pineapple fritter. Other favourite Coromandel eateries include Luke’s Kitchen in Kuaotunu, Cooks Beach’s Go Vino and Tairua’s Two Tides Bakery. We love the latter for their Allpress coffee and pies served piping hot from the oven. Cool down from the summer sun with a refreshing craft beer at one of the Coromandel’s friendly watering holes. At Luke’s Kitchen, you’ll find woodfire pizza washed down with local brews from Blue Fridge Brewery. In Hahei, check out The Pour House for local beers brewed on site and served in a sun-drenched courtyard. And, once the tide washes away your sandy spa, visit Hot Water Brewing Co. for a cold drink and bite to eat. Explore the peninsula and beyond by bike this summer and cruise the Hauraki Rail Trail. The 160km track is made up of five sections and one of the easiest cycle trails in the country. Choose from a range of scenic day rides or opt for a three to four-day tour starting in Kaiaua—just 90km from Auckland’s CBD. You’ll head across to Thames before heading south to Paeroa, Te Aroha or even as far as Matamata. Alternatively, you can venture east from Paeroa and through the striking Karangahake Gorge to Waihi. Get off the beaten-track this summer and check out some of The Coromandel’s hidden gems. Kayak across the Whangamata Harbour with a guided tour to Whenuakura—aka “doughnut island”. It takes about two hours (one way) to reach the island where you can paddle through a small cave and into an emerald lagoon. Alternatively, New Chums Beach is loved for its lack of buildings, roads, infrastructure and camping—it can only be accessed by boat or via a 30-40 minute walk along a rocky track. Once there, feast your eyes on a stretch of golden sand fringed by Pohutukawa and with azure waters. While you're at it, check out New Zealand's most beautiful waterfalls.